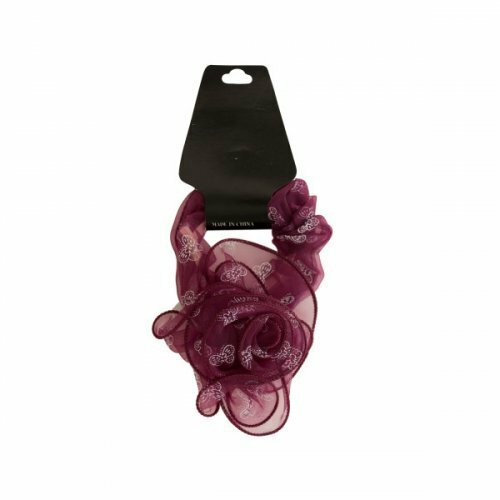 Perfect for holding all types of hair, this pretty Chiffon Butterfly Hair Twister is fluffy and ruffled in sheer jewel tone colors with a white butterfly print and a twisted rose accent. Comes in assorted colors. Each piece comes loose with a wraparound UPC tag.